LEGAL ANALYSIS: That prosecutors essentially allowed Cohen to identify the president suggests how seriously they take the lawyer's claims. Donald Trump was all but identified by name in court on Tuesday — Michael Cohen referred to him as a "candidate for federal office" when discussing events of 2016 during the course of his guilty plea. So what does that mean for the president? The government prosecutors for the Southern District of New York are not likely to answer that question. But they might not have to; some questions may be answered by looking at the prosecutors' established internal rules. The "rulebook" for government prosecutors is the United States Attorneys' Manual, or USAM. These principles of federal prosecution require prosecutors remain sensitive to the reputations of uncharged third-parties in public hearings and proceedings. 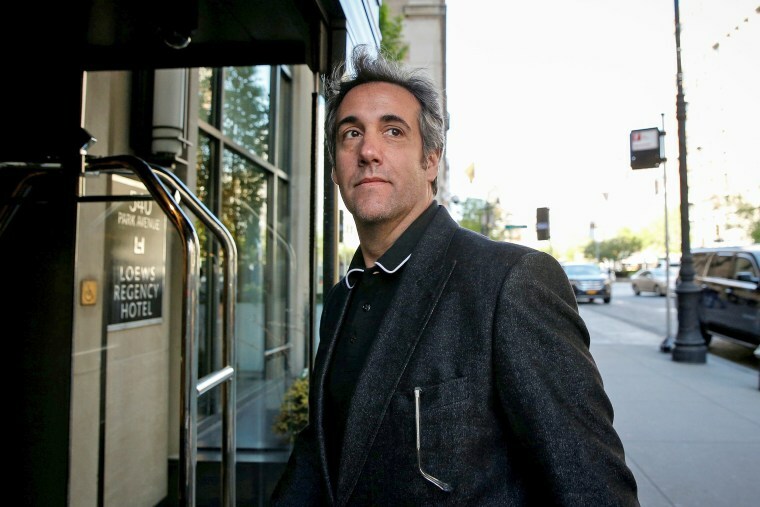 This means that in public plea hearings like Cohen's, "in the absence of some significant justification, it is not appropriate to identify — either by name or unnecessarily-specific description — or cause a defendant to identify a third-party wrongdoer unless that party has been officially charged with the misconduct at issue," according to the Department of Justice-issued manual. Even nongeneric descriptors like initials should be avoided, the guide states. In other words, unless there was a really good reason, the prosecutors and Cohen should not have used an unnecessarily specific description in court that all but identified the president by name. Because that specific description volunteered by Cohen during the plea identified the president, prosecutors must have sought approval from the U.S. attorney and the appropriate assistant attorney general. According to the USAM, there are normally no legitimate governmental interests served by public allegations of wrongdoing by an uncharged party, even if criminal charges are contemplated against that third party. The courts similarly discourage public identification of uncharged third parties in plea hearings who are not before the court. Of course, the manual also gives the government an "out" — but it's an out with ominous implications for Trump. In cases where a defendant is pleading guilty to a crime that requires the involvement of a person because of his office or status, the third party can be referred to, but only generically. The USAM gives as an example a federal law that prohibits paying members of Congress on the side for their services. In that case, the third party can be referred to as "a Member of Congress," but not by name, as "Senator So-And-So." But here's where the USAM may be telling us something: It also provides that "when the defendant engaged in joint criminal conduct with others, generic references ('another individual') to the uncharged third-parties are acceptable during the defendant's guilty plea." The description Tuesday of the president as a "federal candidate for office" was more than just "another individual," but less than by name, "President So-And-So." Under the USAM and principles of federal prosecution, even if the defendant engaged in joint criminal conduct with Cohen, that would only warrant referring to him as "another individual." Mentioning the person as a "candidate" could be because the third-party's status as a candidate is important to the elements of campaign finance violation. U.S. attorneys will not reveal what they know until they absolutely need to. However, understanding the rules that bind them might reveal more than they are willing to. The fact that the president was not named, but described, means something very specific to federal prosecutors who follow their own rules.